This website contains information about Tata Steel’s plans to fully restore Shapfell Quarry and withdraw the existing planning application for further extraction and deepening of the Quarry. Following a public consultation in September 2018, Tata Steel has submitted two Section 73 applications to Cumbria County Council. The applications seek to vary a number of existing planning conditions to agree a revised restoration plan and an extension to the timescale for completing the restoration. As part of the plans, Tata Steel has confirmed to Cumbria County Council that it has withdrawn an existing planning application for further extraction and deepening of the Quarry. To confirm, the two Section 73 applications do not include any deepening or lateral extension of the quarry. The proposals therefore do not involve any blasting or associated extraction activities. Cumbria County Council will now undertake its own consultation on the plans. You can view the planning application and supporting documents (including the Statement of Community Engagement) on the Council’s website here. The planning application numbers are 3/18/9004 and 3/18/9005. Limestone has been quarried from Shapfell since 1962 and through this work the Quarry has become a major employer in the local area, contributing considerably to the local economy. 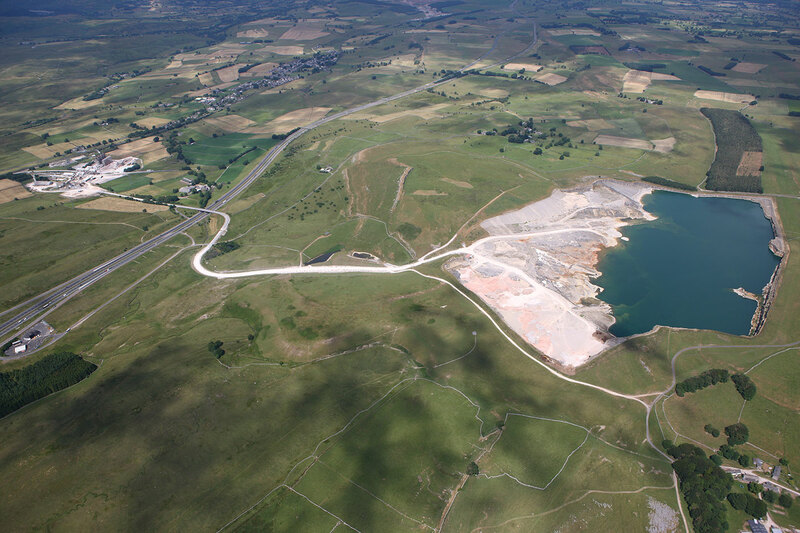 Over time, two sites have operated at Shapfell; the Quarry which is located to the east of the M6, and the Works site located to the west of the M6. These sites have been linked since the opening of the quarry, with quarried stone being transported from the Quarry to the Works site. As part of the proposals it is intended to continue production at the Works site so there will be no loss of employment. However, the use of the Quarry has lessened in recent years and the Works are now largely operated using limestone from other quarries. The existing restoration plan was approved in 2008. This plan is no longer practically achievable or environmentally preferable as it would involve draining the water and infilling of the large waterbody void. The updated restoration plan will ensure sensitive and progressive restoration of the Quarry. There will be no deepening or lateral extension of the quarry as part of the proposals. Tata Steel believes it is important to return the land to the landowner in a suitably restored condition. A summary brochure has been prepared to provide details of the draft restoration plans. This brochure has been circulated to local residents and stakeholders. You can download a copy of this brochure here. You can also read the answers to some frequently asked questions here.